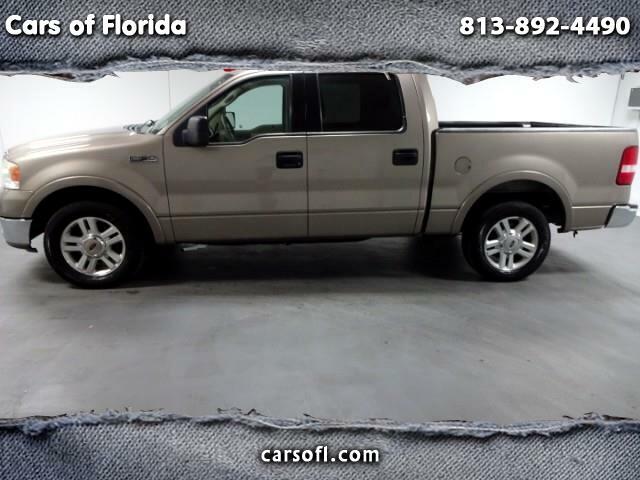 Cars of Florida is proud to announce this ONE OWNER CLEAN CARFAX NO ACCIDENTS 2004 Ford F-150 with 140k miles. This 5.4L Lariat Triton is fully loaded! Navigation, Back Up Camera, Towing Package, All Weather and Season Floor Mats and much more. Quality work and leisure truck at its finest! Full leather, no imperfections. This is the one you been looking for! Comes with all books and manuals. Very well up kept. Elderly Driven. Tons of storage!